This is a your opportunity to sample most of the various lines from one of the hottest cigar brands of the last 10 years - CAO Cigars. This is a your opportunity to sample most of the various lines from one of the hottest cigar brands of the last 10 years - CAO Cigars. 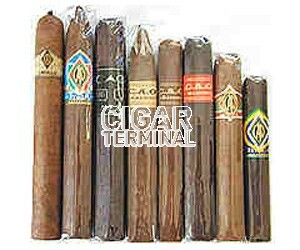 This highly popular cigar sampler includes 8 all-handmade superb cigars from currently available CAO cigar lines. 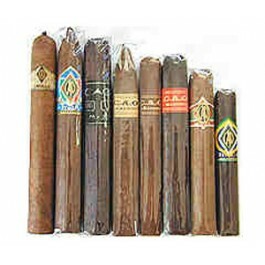 Typically this sample will include: Criollo Bomba, Italia Gondola, Cx2 Robusto, Anniversary Cameroon Belicoso, MX2 Toro, Anniversary Maduro Corona, Gold Robusto, Brazilia Samba.